For details of other pictures of this aircraft please email us. 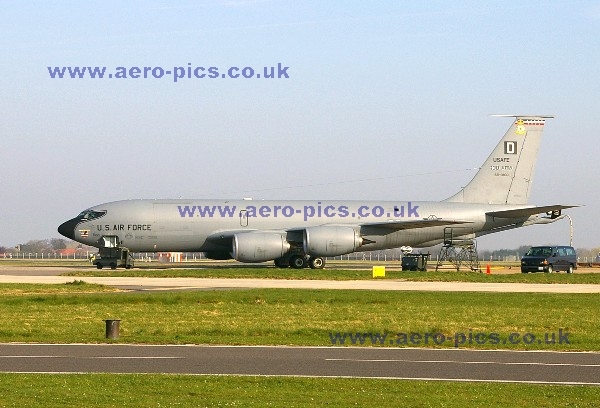 Boeing KC-135R Stratotanker 58-0100/D from the 351stARS, 100thARW, USAFE at RAF Mildenhall in 2007. If you would prefer to send your order by post, please download a Print-and-Post UK ORDER FORM quoting, in full, the Aeropics reference number at the top of this page. We will then send your high-resolution TIFF or JPEG image (you may select from these format options on the order form) to you on a CD by first class post. Thanks for looking in on Aeropics, and we look forward to hearing from you.